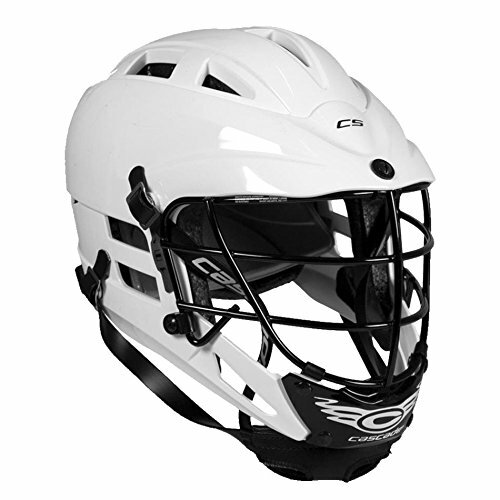 A crucial part of playing a sport like Lacrosse is owning the correct gear. Your cleats need to be comfortable, supportive, and lightweight. Below you will find a guide to buying the ideal pair of shoes for you. This article will also review some of the best lacrosse cleats on the market in 2019. What Do You Want in Lacrosse Cleats? Before we move on to a more detailed discussion of the different products, the following is a summary of the top-rated items. Asics is a well-known manufacturer of all kinds of athletic gear, including trainers. A cleat is made explicitly for lacrosse. 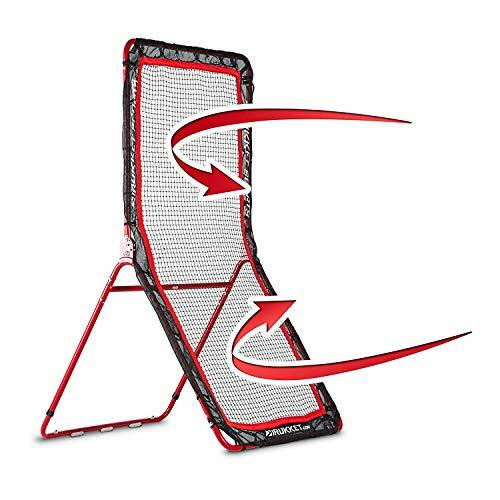 Therefore, the spikes are placed in strategic positions to increase your balance and grip. It also provides adequate support around your foot. Trainers are made to fit men and their shoe sizes. You can buy them in sizes ten to thirteen. One great benefit is that the cleat is available in half sizes as well. These are designed to fit people with broader feet, so they are ideal for you if regular shoes are typically too narrow for you. Like most sports trainers, cleats consists of several synthetic materials. The outsole and spikes are made of rubber. Its cleat plate, to which the stud and sole are attached, consists of a polymer which is a solid type of plastic. So overall, it is incredibly durable. Although there isn’t as much breathable mesh across the main body of the shoe, the tongue is a mesh. It is clear that comfort was a top priority during the design process of this product. It has a removable insole, and as an added benefit, the heel has some gel cushioning. The padding helps to prevent shin splints. Another unique feature of the product is its 10mm heel gradient which is supposed to be the optimum position for your foot when playing the sport and it suits people with flat feet, but this might feel unusual if you’re not used to it. 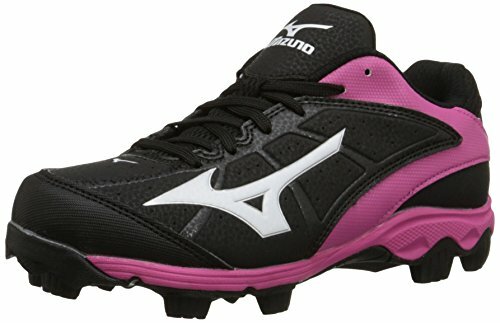 On this list, the Mizuno 9 Youth Girls Molded Cleat is the only pair of footwear that’s specifically made for children. Lacrosse is more common in universities and colleges, but there are also clubs and schools where youths get the chance to play. It comes in a wide range of sizes for different ages. There is a little kid range for four- to eight-year-olds. And a big kid range for the eight- to twelve-year range. It comes in sizes 1.5 to 5.5 US. Half sizes are fantastic for kids who have wide feet. Besides this, the trainer has been padded to increase its comfort. They are unisex, so they work for both girls and boys. However, they only come in pink and black which might not meet everyone’s style preference. Still, pink is in fashion now, so this is a favorite color to combine with black. Mizuno made the product from multiple synthetic materials. Its outsole and studs are rubber. The studs have blunted points which might reduce its grip but make it much safer. These studs are incredibly durable and will cause less damage to fields of all types. Mesh is strategically placed all across the cleat and most of the tongue to make it more breathable. Mizuno makes a variety of specialized sports gear like gloves and cleats. One of these products is the Mizuno Spike Swift Fastpitch Metal Cleat. This was designed for softball, but as the majority of softball cleats, it is suitable for lacrosse. The spikes on the sole are placed in the right places and the necessary studs are under the toe tip for extra grip and stability. Aside from this, it provides plenty of support. However, you should note that it falls into the low cleat category so it does not give as much ankle protection. Unlike most contemporary products this one has metal spikes, which it will cause far more damage to fields than alternatives would. Their thin and sharp profile increases this effect. To make the cleat as comfortable as possible, the inside is covered with a soft lining. In addition, the product has an inner foam sole that will follow the shape of your foot. Mizuno made these shoes with women in mind. Female trainers are typically narrower than ones that are designed for men. Therefore the same size might sit tighter than that of a men’s shoe. It is available in sizes five to twelve, with half sizes in between. 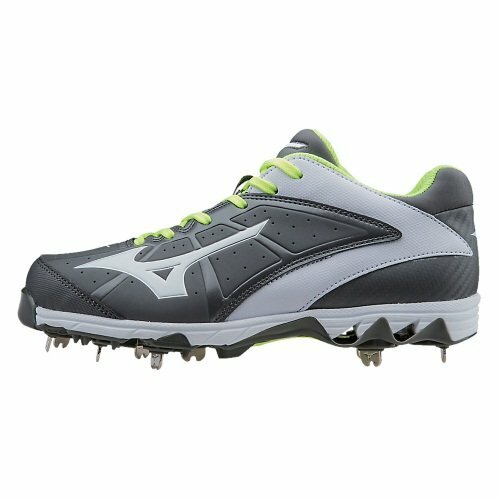 The next option on the list is the Warrior’s 2nd Degree Lacrosse Shoe for men. It comes in a more varied range of sizes than other sports trainers. You can get one in sizes six to fourteen. Most people will undoubtedly find one that fits them. They also have some half sizes which are excellent for people with wide feet. There are several styles and color options for you to consider too. The body of all the shoes is mainly white with colored bands across it. There are pairs with silver, black, navy, and red bands. It is a mid cleat, so it comes up over your ankle. The product gives an option for bonus support and it has additional flaps through which you can thread your laces. These are above your ankle and the tongue of the trainer. If you choose to tie your shoe there, it will give you more support and ensure that it fits snugly around your feet. The materials used on this pair of shoes is mostly nonporous. To compensate, it is designed to have small holes in several places. The tongue of the cleat is also made of mesh. One downside of the shoe is that it has quite a thin sole for an athletic shoe and it doesn’t have a midsole. Therefore, it provides less cushioning and can wear out more quickly. The upside, however, is that it is lightweight because of this. Nike is probably one of the best-known manufacturers of activewear. The Hyperdiamond 2 Keystone is one of their ventures into the production of cleats. The trainer was made with softball in mind. Luckily, the requirements for softball is similar to that for lacrosse and they work equally well for both sports. It has more than enough traction with the exceptionally high number of twelve spikes. Most cleats only have about ten. The outsole and studs are both made of long-lasting rubber. As a bonus, it has a Phylon midsole to absorb some force. The product is a low cleat, so it won’t rise above your ankle. As such it weighs less than other options. It allows you to be more agile, but remember that it won’t give as much support. So if you have had some kind of injury, they might not be right for you. You should also consider wearing an ankle brace or another type of protection together with the trainer. The inside of the trainer is covered with a breathable mesh lining. Besides this, the inner is also cushioned to make it much more comfortable. 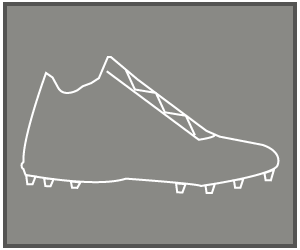 The cleat was made for women so keep this in mind when deciding on a size. It is available in six to eleven and comes in half sizes as well. Besides being useful, these cleats are extremely attractive. You can choose among a range of color combinations, each of which is stylish from top to bottom. 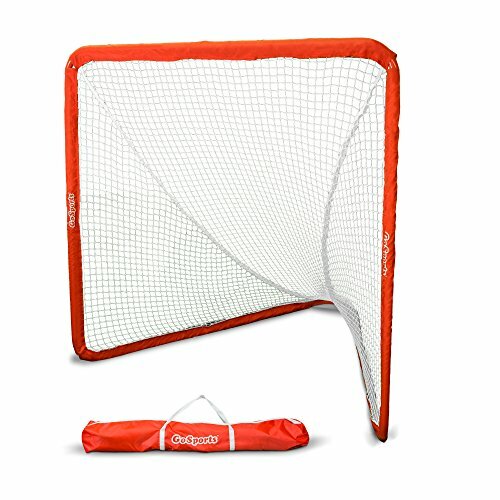 If you need more information about all the equipment that will help you excel in this sport, take a look at this Youtube video. It is not as simple as getting any pair of cleats. You should keep in mind how the sport works. Lacrosse cleats are especially made for the game. 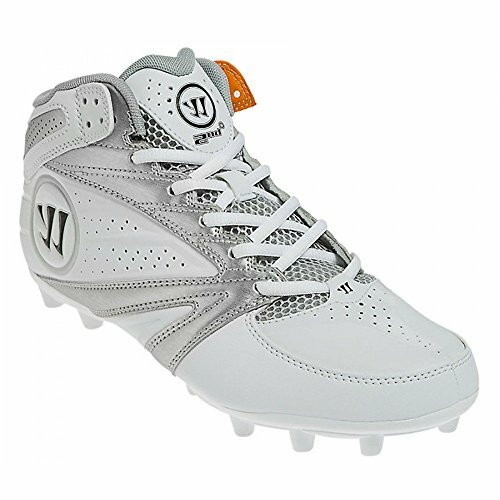 Youth lacrosse cleats are meant to give young players the right footwear for the fast-paced game of lacrosse. 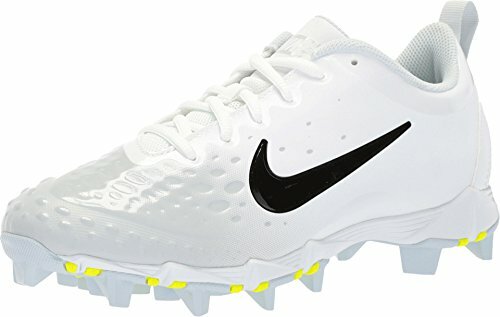 Accordingly, the best youth lacrosse cleats come with a plethora of design and engineering features which support this. Synthetic leather construction ensures that a pair of cleats is lightweight as well as durable. So make sure that you buy one with a synthetic upper. Good cushioning is very important for good youth lacrosse cleats. By absorbing the impact, the right cushioning can keep the young player on his or her feet for a much longer time. If your feet are wet while wearing cleats, you will encounter slippage and it may affect your game. This is even truer for younger players. So make sure to buy a pair of youth cleats with a good moisture-wicking liner. Such a liner ensures that the players’ feet remain dry and comfortable during a game. A critical feature you should look for are the spikes. 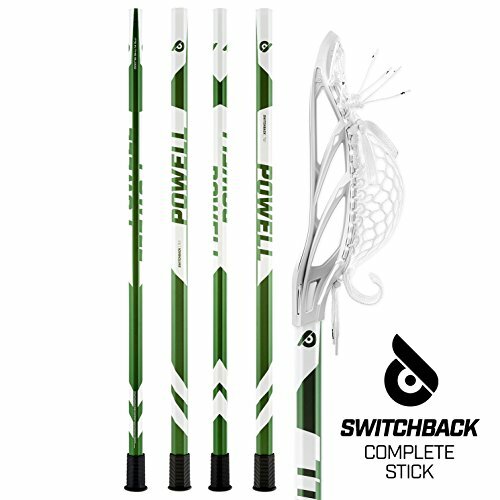 As you know, lacrosse is all about the ability to be agile and make quick and tight turns. It helps if you have a good grip on the turf. There is some disagreement about which type of spikes are the best. Traditionally, they are made of metal. However, recently many fields and sportsmen have turned against them. These spikes have fantastic grip, but they cause a lot of damage to the turf and grass. That is why many brands now exclusively make studs out of other materials like plastic. 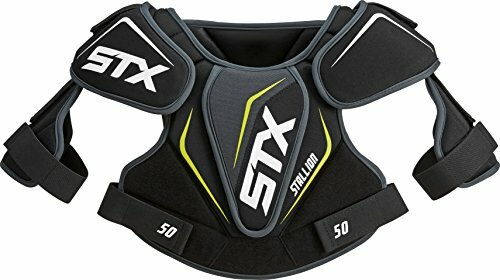 They cause far less damage and take longer to wear down, but the downside is that there are players who feel that this type slips more easily. So you should remember this and inquire about the preferences of the fields where you will be playing. In addition, one of the more important properties to look for is how well the shoes protect your ligaments and ankles. Studies have shown that the safest types of shoes are ones that limit how your joints rotate. Instead of getting shoes made especially for lacrosse, some people want to buy any pair of shoes with spikes that are made for other purposes. At other times, you might only find different types of trainers. Luckily, you don’t necessarily need to buy shoes that are marketed for lacrosse. There are cleats for specific sports that can work just as well as long as they have the features you need. Shoes made for baseball (or softball) work well as an alternative as its studs are similarly distributed. But be aware that soccer and football cleats won’t work. Neither the spikes nor the overall structure of the shoe will be suitable for lacrosse. 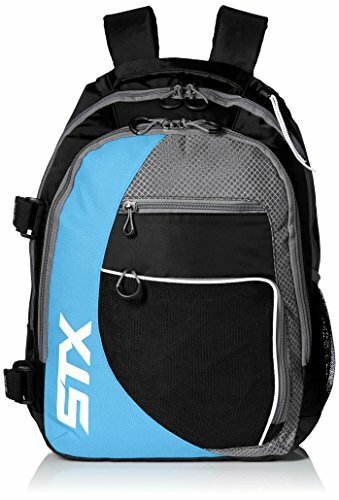 Choosing your sports gear is not only about being practical! Trainers come in a variety of styles and colors from different brands, which is excellent news because it means you will be able to find a pair that fits your style. However, don’t forget your comfort as well as foot, ankle, and leg health. Your lacrosse cleats need to provide you with ample support. Because of their design and structure, different shoes will offer different levels of comfort. People with varying styles of play have distinct requirements. It is incredibly important that the lacrosse cleats you purchase rightly fit your feet. Different cleats come with different design features and these may affect their fitting capabilities. For instance, many new lacrosse cleats come without laces. Instead, they have adjustable interiors which automatically adapt to the shape, size and contours of your feet. As a result, you are able to experience a perfect fitting when wearing such cleats. On the other hand, more traditional cleats come with laces. Laces enable you to adjust the fitting of the cleats anytime you want. The fitting of the cleats is important because it directly affects your performance. If you are wearing cleats that are too tight or too loose, it will inevitably impact your game and diminish your activity on the field. Getting the right fit in lacrosse cleats is also important because the more comfortable you feel while wearing your cleats, the easier it will be for you to perform at your best. A key factor to consider when looking for any activewear is breathability. No matter how much you might hate it, sweat is a natural part of any physical activity. Luckily, you can minimize the nasty consequences of this with the right pair of shoes. You should look for cleats that consist of a breathable material or those that has features like netting and holes to let the air flow. Buying cleats can be made more complicated by the fact that there are three types: low, mid, and high. High cleats are specifically meant to offer additional ankle protection to the players. These cleats are designed so that they rise well beyond the foot, with their top end touching the calf. Such cleats are ideally suited for players who frequently incur ankle-related injuries during a game. High cleats are very effective in warding off such injuries and these also significantly reduce the possibility of ankle sprains during the high-speed action of a game. This variety of cleats also features additional cushioning which offers better comfort and protection. A slight downside of high cleats is that compared to low cleats, they may be cumbersome. High cleats will usually rise to your calf, so they give the most protection. It is a brilliant option if you have a history of ankle injuries or discomfort. Low cleats, as the name suggests, refer to the variety of cleats which covers the foot but doesn’t offer any ankle protection. These cleats are well suited for players who don’t frequently incur any ankle injuries or sprains. Given the fact that they are much smaller in size, these cleats are significantly lightweight compared to high cleats and offer better flexibility and agility. Low cleats offer the least amount of support for players. They cover your foot but don’t protect your ankles at all. However, some people prefer the flexibility it offers. They are also the lightest type of cleats. Mid cleats are sized between high cleats and low cleats. This variety of cleats usually rises as far as just above the ankle but no more. So although you are able to get good ankle protection while wearing the cleats, these do not completely cover your ankles. If you only occasionally get ankle injuries or sprains and want decent protection against such incidents, mid cleats is the way to go. On the upside, they are not as bulky as high cleats and have a more lightweight and flexible profile. Mid cleats, as you might have guessed, is a good in-between option. They typically rise just above your ankle but not much higher. These products give you more protection while still being relatively lightweight. Weight is a very important factor to consider when purchasing the right pair of cleats. You don’t want to be weighed down by your shoes. But unfortunately, this happens quite often, especially with sports gear. Lacrosse cleats should be light enough for you to move around freely and effortlessly. The weight of the shoes depends mainly on the material used to make them. Traditionally, cleats were made from heavier materials which meant that they were bulky. As a result, heavier cleats dragged down the players and slowed the game. Over the years, manufacturers have started using more lightweight materials such as synthetic raw materials to make lacrosse cleats. As a result, most of the lacrosse cleats available today are incredibly lightweight. 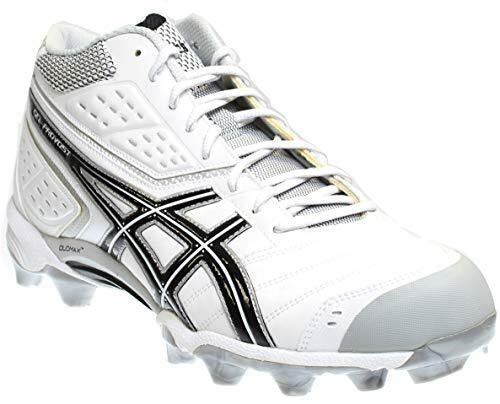 It is largely thanks to lightweight cleats that the players are able to achieve exceptional speeds during lacrosse play. As a rule of thumb, always find a pair of cleats which is as lightweight as possible without compromising the durability and flexibility of its structure. 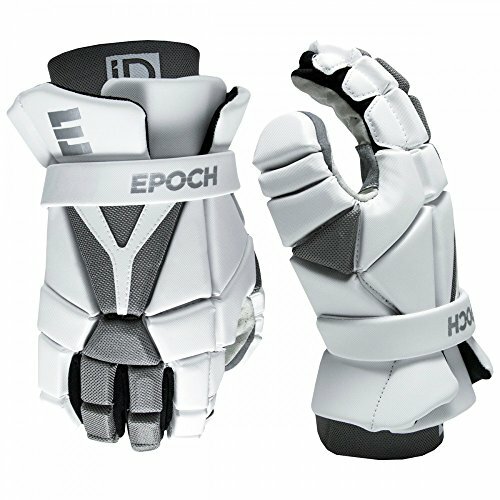 The material of which lacrosse cleats are manufactured plays a huge role in the performance of the cleats. As stated above, it is highly desirable in any lacrosse cleats that they are as lightweight as possible. At the same time, they should be flexible enough for high-speed movements, breathable to keep your feet dry and supportive to keep your feet comfortable during a game. 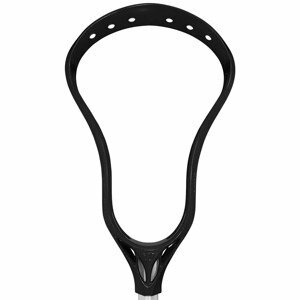 Synthetic leather and other synthetic equipment are commonly used today to make lacrosse cleats offering all of these aforementioned features. Outsole is an important part of the lacrosse cleats. An outsole typically reinforces the overall structure of the cleats and adds more flex to them. Rubber and synthetic outsoles are commonly used in most cleats these days. Both are quite helpful in improving the overall performance of the cleats. 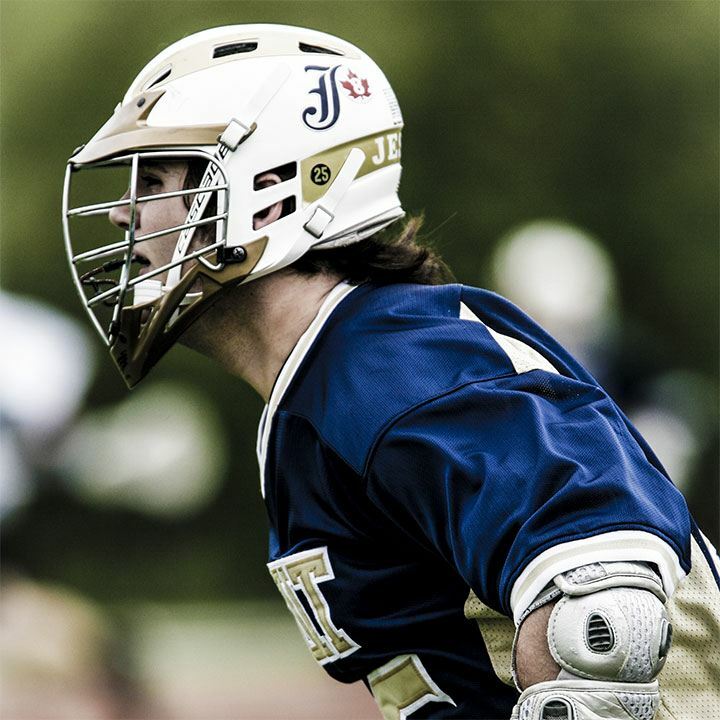 At the end of the day, each lacrosse player has a unique style and distinct preferences. So there’s no one solution that could fit all players. You have to consider your own needs, playing style and preferences when finding the right set of lacrosse cleats. 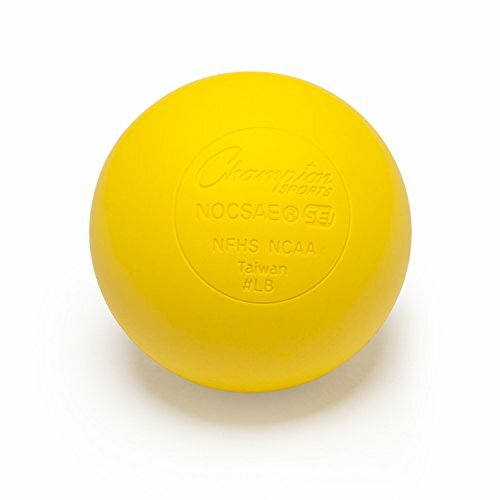 For instance, if you frequently incur ankle injuries during a lacrosse game, ankle protection may be your priority. You can go for a pair of high cleats although they may slightly slow you down. On the other hand, if speed is your top priority, you may want to go for the most lightweight cleats. Synthetic low cleats may be your best option. Other factors such as budget and personal taste may also affect your decision. For instance, some players prefer the laced cleats over the more modern laceless ones. Laced cleats offer a classy look as well as real-time adjustment while their laceless cousins automatically adjust to your feet size. All these factors have to be considered before you make the final decision. These products are among the best lacrosse cleats that are currently on the market. As you can see from this review, all cleats are not equal. Different products will work better for some individuals than for others. My favorite is the ASICS Men's GEL-Provost Mid Lacrosse Cleat. 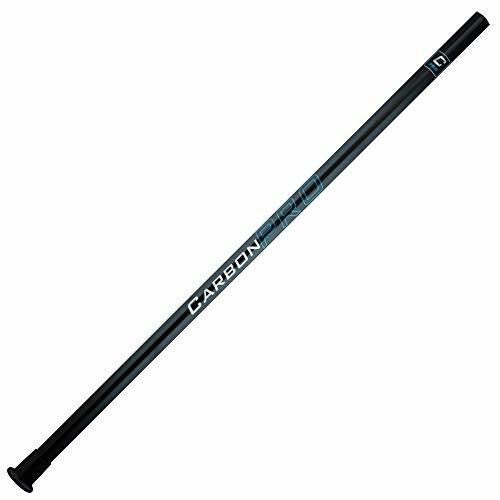 It performs well on both the support and traction fronts. As a mid cleat, it provides far more support than ones that do not rise to your ankle. Another benefit of the product is the fact that it comes with gel cushioning in the heel as well as a removable inner. It will provide you with optimal comfort. When selecting a size, remember that it was made with men in mind so they might be larger than the similar option for women. Although you will find the best lacrosse cleats 2018 in our shortlisted collection above, the final decision rests with you. It is up to you to choose one of these new high-performing models or go with any other pair of cleats.